Melissa Guzaino joined The Logan Firm as an Associate Attorney in June 2018. Prior to that, she worked several years for a boutique immigration law firm where she specialized in family-based matters including adjustment of status, consular processing, extreme hardship waivers, nonimmigrant petitions, and naturalization. Melissa is deeply committed to helping clients navigate their way through the complex immigration system and creating paths of opportunity for them to achieve their goals. Melissa’s passion for this work developed in large part through her experience growing up as the daughter of immigrants and from participating in the 2006 “Gran Marcha” in Los Angeles, which protested proposed anti-immigrant legislation and in favor of comprehensive immigration reform. Her practice is focused primarily on family-based immigration, extreme hardship waivers, and removal defense. Melissa is a proud native of southern California. She graduated from the University of California, Los Angeles with a bachelor’s degree in English and minor in Philosophy. After college, Melissa traveled extensively throughout Central America before moving to Colorado to attend law school. She is a graduate of the University of Colorado School of Law and admitted to practice in Minnesota. 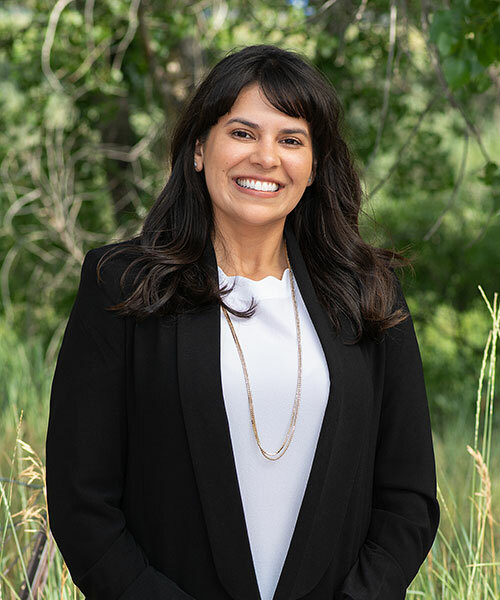 Melissa is a member of the American Immigration Lawyers Association (AILA), the Colorado Bar Association (CBA), and Boulder County Bar Association. She is currently the Vice Co-Chair of the CBA’s Spanish Speaking Lawyers Committee and regularly volunteers at Longmont Legal Nights. Outside of the office, Melissa enjoys dancing, practicing yoga, reading, and spending time with her close friends and family. She is fluent in English and Spanish.